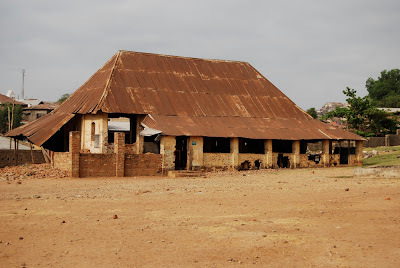 From Olly Owen: Attached is a picture of the first primary school in Northern Nigeria, founded in 1865 under Bishop Samuel Ajayi Crowther, and thus representing the beginnings of boko learning and english literacy north of the Niger. It stands in the grounds of Holy Trinity Anglican Church in Lokoja, Kogi State, and is still a working primary school, under the control of government. As a historic monument and a working school, I hope you'll agree that this building is in need of both sympathetic material restoration, and support as a working institution. Nice effort, well appreciated Nationalist attitude.This structure should be protected, I am willing to be part of the rejuvenation process. If there is any good plan on ground please kindly publish a brief description of it on this web page, then we will take it from there.